Consumers will turn away from any technology that hits their self-esteem, or tells them something about themselves they don't like, according to the Internet Advertising Bureau UK resident psychologist. Speaking at the IAB UK Mobile Engage conference in London this morning, Dr Simon Hampton explained that if a connected fridge were to tell a consumer what they eat, people would turn it off. He said: "The connected future will be offensive to the individual, not because of the information gathered, but when it reflects back with what we don’t want to hear." Hampton told delegates that people like to present themselves in a way that they think others would like to see them, such as through their Facebook page. He said: "Who looks at a friend’s site and believes that’s what they’re like? We know that’s not what they’re like." Hampton also referred to people not liking what they see when they watch a video of themselves, or like the way they sound on an answering machine. He said: "Self-esteem seems to be a one way ticket, anything that agitates against it tends to be loathed so we turn it off. That relates to the internet of things. If I’m in the internet of things business I need to think ‘is what I’m doing going to impact negatively on that person?’"
Guy Phillipson, the chief executive at IAB UK, kicked off the day and announced that this will be the last Mobile Engage event. 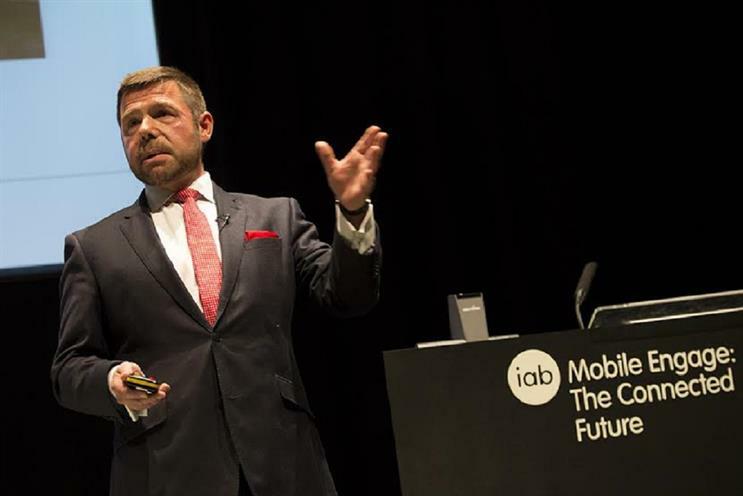 Instead the IAB’s Autumn Engage conference will become a two-day event.